This blog celebrates its third birthday today. Three years ago I started this as an experiment at blogger.com, because I wanted to test this phenomenon called blogs, which was already mentioned a lot back in 2004. I still enjoy this a lot, even though daily work and two other blog projects have taken a considerable chunk of attention. Nevertheless I am very much looking forward to the next 3 years (or more)! Clever book marketing based on a brilliant idea. Because his debut novel wouldn’t sell and the publishers were reluctant to invest any money in advertising, author WS Maugham decided to take matters in to his on hands. He published classifieds in a few daily newspapers in London with the following copy: „Young millionaire, lover of sports, cultivated, with good taste of music and a patient and empathetic character wishes to marry any young and beautiful girl that resembles the heroine of W.S. Maughams new novel. Six days later the complete print run of the first edition of the novel was sold out. Fantastic idea! Good buzzmarketing, and this was in the 1800’s! Is the tipping point toast? This is the title of a rather interesting article on fastcompany magazine. There is a lot of thinking and research going on in order to find out, what will trigger a viral (marketing) explosion of any sort. Is it the people, the context or the actual idea? Or would it be a mixture of all? Most people will have read Malcolm Gladwells „Tipping Point“ or similar literature. In his book, all three are important, yet most marketers have started to focus too narrowly on the people part of the equation. So, a computer model, a rather static even, I would assume, is behind this? Not sure if I want to really believe in the validity of this approach. But hey, I am a marketer – and it says in the article that us marketers are amongst the heaviest doubters of this research. Mind you, Watts does agree that some people are more instrumental than others. He simply doesn’t think it’s possible to will a trend into existence by recruiting highly social people. The network effects in society, he argues, are too complex–too weird and unpredictable–to work that way. If it were just a matter of tipping the crucial first adopters, why can’t most companies do it reliably? True, damn it, very true. I wish there would be a reliable mechanism, of course I do. We do try to design built viral campaigns along the learnings of past campaigns, because that is the only thing we have. As Watts points out, viral thinkers analyze trends after they’ve broken out. „They start with an existing trend, like Hush Puppies, and they go backward until they’ve identified the people who did it first, and then they go, ‚Okay, these are the Influentials! '“ But who’s to say those aren’t just Watts’s accidental Influentials, random smokers who walked, unwittingly, into a dry forest? East Village hipsters were wearing lots of cool things in the fall of 1994. But, as Watts wondered, why did only Hush Puppies take off? Why didn’t their other clothing choices reach a tipping point too? What you can do, and that is part of the conclusion of that article, is to offer a mechanism to spread your ideas to every single person who might actually be able to send it on to at least one other person. Doesn’t sound like a great strategy, but if your goal is maximum spread, why focus only on so called influencers – i.e. focus too narrow. Spread to everyone, as far and wide as your own resources allow you to. Start with the people you consider influencers, granted – you have to start somewhere, but once you’re done with those, include everyone else, too. 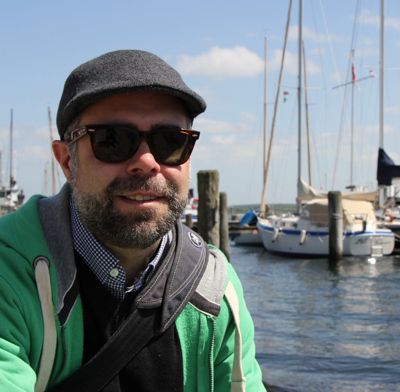 The German DLD Conference (Digital, Life, Design) just started a few hours ago. The next 3 Days should be rather interesting, even for anybody not attending, because they are putting videos all sessions online. In addition, there is a blog with live blogging from the sessions. 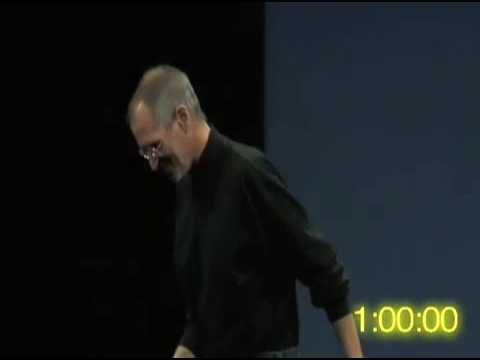 Steve Jobs announced some fabulous things once again during his MacWorld Keynote. The stockmarket obviously did not agree, as the share price fell considerably during Steves speach, but he gained one new potential customer (me). 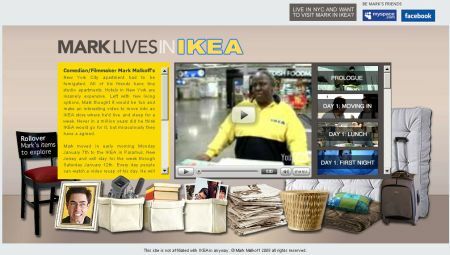 so there is this guy, living in ikea as a promo, and I ask myself: why? New York City apartment had to be fumigated. All of his friends have tiny studio apartments. Hotels in New York are insanely expensive. Left with few living options, Mark thought it would be fun and make an interesting video to move into an IKEA store where he’d live and sleep for a week. Never in a million years did he think IKEA would go for it, but miraculously they have a agreed. You can see a video each day, showing whatever he did during the day and night. Anyway, in a good manner these days, you can of course join the facebook group (1,260 members) and you can be Marks friend on myspace (930 friends).